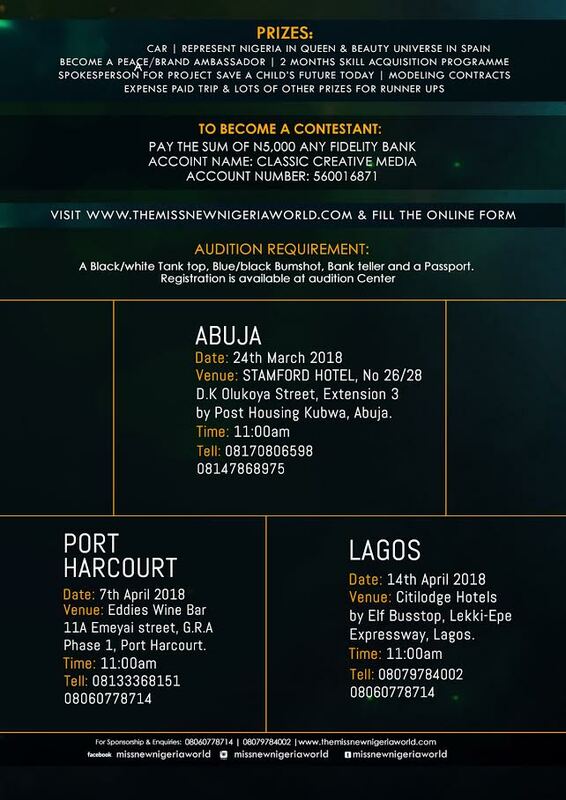 [OFFICIAL] The Miss New Nigeria World (MNNW) pageant is on the lookout for the NEXT Nigerians Prominent Ambassador. With a wholesome combination of vintage glamour and modern elegance, The Miss Nigeria pageant 2018 edition promises to be particularly exciting and spectacular. According to the Head of the casting Team, we are fully Ready and we are not just in Search of physical appearance of the contestants but also on the overall personality, talent, confidence, emotional, social, analytical and mental skills. 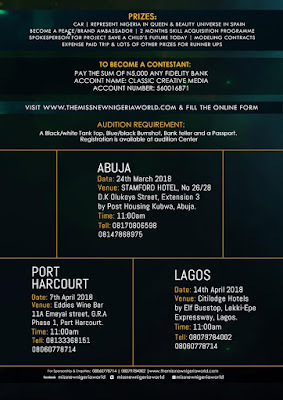 In addition to winning the prestigious crown, the winner of the Miss New Nigeria World competition will be rewarded with a car, an opportunity to represent Nigeria in Spain, and other amazing prizes and benefits. 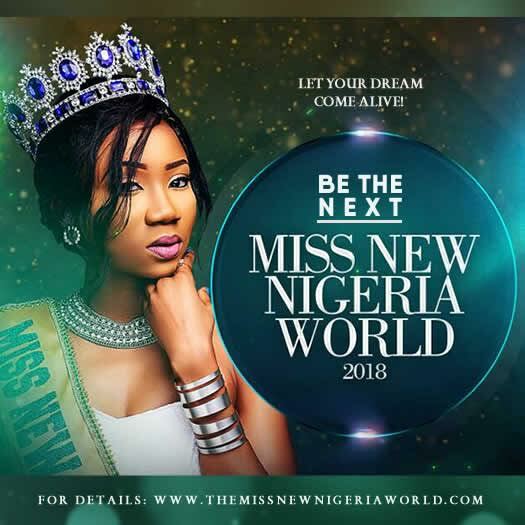 Interested applicants into the Miss New Nigeria World 2018 competition must be female Nigerian citizens between the ages of 18 and 28 years. They must be of good health and character. You can also follow our social media pages listed below for more exclusives update.